RAM HEAD: 50+ Common Dolphins, 3 Porpoises & a Basking Shark. Nr CROHAUN: 3 or 4 Grasshopper Warblers singing. 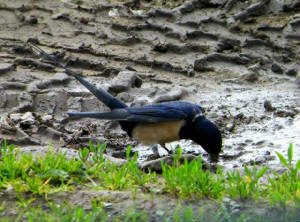 PORTLAW / CURRAGHMORE AREA: Dipper at Portlaw Bridge, Jay nr Lowry Bridge, & 90 Painted Ladies. GREAT NEWTOWN HEAD: STRIPED HAWK-MOTH & Bordered Straw trapped overnight 31.5-1.6. BROWNSTOWN HEAD: 30 Painted Ladies & 83 Silver Ys by day, 3 STRIPED HAWK-MOTHS trapped overnight 31.5-1.6. MAHON BRIDGE / LEMYBRIEN area: 3 Spotted Flycatchers - near Ballylinch (2) & SE of Mahon Bridge (1); total of 785 Painted Lady butterflies, mosttly flying NNW (including one sample count of 375 NNW across a field in 15 mins = 1500/hr). 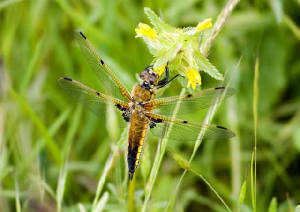 BROWNSTOWN HEAD: 138 Painted Ladies & 81 Silver Y moths. NIER VALLEY: Dipper near Knockaunbrandaun & Jay near Graignagower. VARIOUS LOCATIONS: Several dozen Painted Lady butterflies, Youghal east to Tramore. CARRIGNAGOUR (nr Lismore): Spotted Flycatcher. 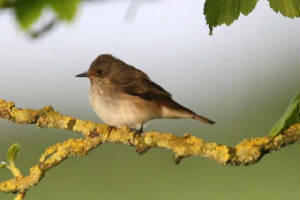 NIER VALLEY / COMERAGHS: Spotted Flycatcher near Knockalisheen, Cuckoo near Moanyarha. KNOCKMEALDOWN MOUNTAINS: Red Grouse & Cuckoo, Ballysaggart area. 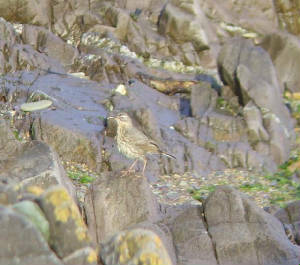 BALLYVOYLE COVE: Apparent SCANDINAVIAN ROCK PIPIT paired with local Rock Pipit & collecting food (presumably for chicks nearby). 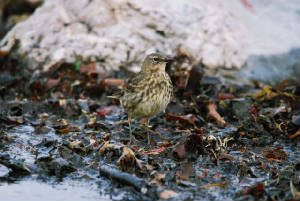 There was a similar occurrence at Goat Island, nr Whiting Bay, in June 2008. 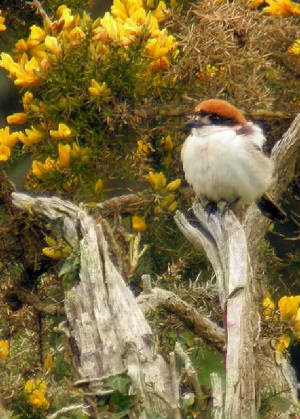 CARRIGCAUM FOREST (SE of Kilsheelan): 3 Jays, a Spotted Flycatcher & 7 singing Whitethroats. TRAMORE BACKSTRAND: 15 Whimbrel at Ballinattin. 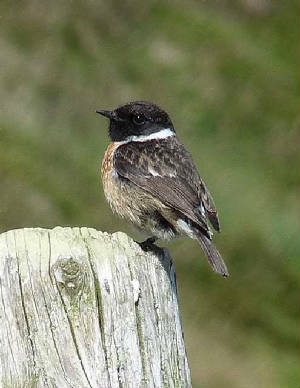 HELVICK HEAD: 5 Spotted Flycatchers & 2 Chiffchaffs. 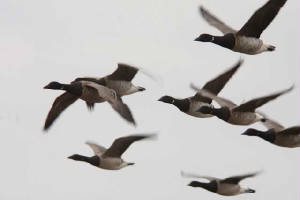 CLONEA STRAND: 2 late Brent Geese & a summer-plumaged Great Northern Diver. Nr KNOCKEEN DOLMEN: A summer-plumaged Great Northern Diver flew west overhead (4-5 km inland from Tramore). BROWNSTOWN HEAD: Tree Sparrow & Wheatear on land, 2 Swifts west overhead; a Red-throated Diver, 740 Manx Shearwaters & 164 Gannets west in a 1-hr evening seawatch (20:10-21:10). Nr BALLYNAMULT: Dipper at Priestown Bridge. EASTERN KNOCKMEALDOWNS: Grasshopper Warbler nr Broemountain. HELVICK HEAD: Pomarine Skua, 2 unidentified skuas (probably Pomarine) & 4 Storm Petrels west (seawatch 18:45-19:15). DUNGARVAN TOWN: Tufted Duck again at the new town park. HELVICK HEAD: 8 Pomarine Skuas, 4 Arctic Skuas, 9 Storm Petrels & 2 Puffins west (seawatch 18:45-19:55). DUNGARVAN TOWN: Tufted Duck at the new town park nr Lidl. BROWNSTOWN HEAD: 6 adult Pomarine Skuas & a Storm Petrel east, 780 Manx Shearwaters & an adult-summer Great Northern Diver west (seawatch 07:30-08:30). HELVICK HEAD: 4 Spotted Flycatchers & 2 Blackcaps (male & female) on land; seawatching produced a Storm Petrel west (morning), & 2 1st-summer Little Gulls, 7 Storm Petrels & a diver species west (18:45-20:00). 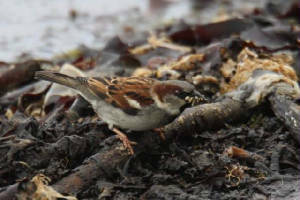 Nr WHITING BAY: c20 Tree Sparrows - 4 in Bawnacommera area, c16 Ballysallagh area. HELVICK HEAD: Female Whinchat (first of year). Adult SABINE'S GULL, 3 Storm Petrels, 11 Arctic Terns, 1 Great Skua, 3 unidentified skuas (probably Pomarine) & 14 light-phase Pomarine Skuas west during an evening seawatch (19:15-20:45). The Pomarines were part of a larger total seen off Ballynacourty Point this evening, 14 of which rested in Dungarvan Bay before continuing west. 2 1st-summer Little Gulls, 5 Puffins & 940 Manx Shearwaters west during an earlier seawatch (13:55-14:55). BALLYNACOURTY POINT: 22+ Pomarine Skuas. 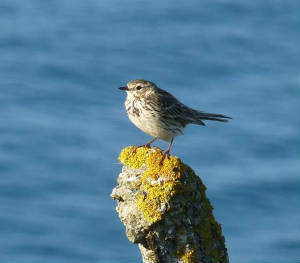 CLONEA STRAND: 2 Spotted Flycatchers at Ballinclamper. BROWNSTOWN HEAD: 4 adult light-phase Pomarine Skuas west, 2 Great Skuas east, 495 Manx Shearwaters & 154 Gannets west, also a Black Guillemot on sea (seawatch 18:00-19:00). HELVICK HEAD: 2 Spotted Flycatchers. CLONEA STRAND: Spotted Flycatcher at Ballinclamper. HELVICK HEAD: 6 Spotted Flycatchers. BROWNSTOWN HEAD: Small arrival of landbird migrants - Grasshopper Warbler, Spotted Flycatcher (1st of year), 2 Sedge Warblers & a Wheatear. TRAMORE BACKSTRAND: 20 Whimbrel at Ballinattin. KILCLOONEY FOREST (east Comeragh foothills): Grasshopper Warbler singing. 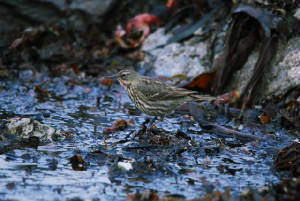 CLONEA STRAND: Merlin (killed House Sparrow on feeder), 18 Whimbrel, 22 Sanderling & 3 Wheatears at Ballinclamper. FORNAGHT: 4 Whimbrel & 11 late Brent Geese on beach, Water Rail calling from bog. 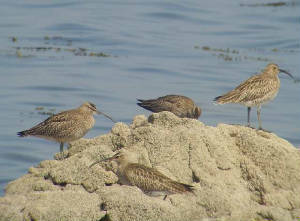 DUNMORE EAST: 6 Whimbrel on rocks. BROWNSTOWN HEAD: 2 Arctic Skuas & 627 Manx Shearwaters west (seawatch 11.35-12.35); also 3 Swifts, 3 Whimbrels & 2 Chiffchaffs on the head. CLONEA STRAND: 4 Wheatears at Ballinclamper. 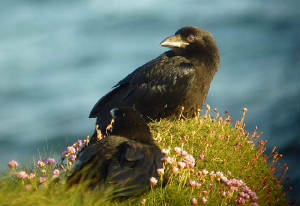 DUNGARVAN TOWN: 2 Great Northern Divers flew west over town @ 6 a.m.
HELVICK HEAD: Great Skua west (seawatch 5.05-5.35 p.m.). RAM HEAD: Great Northern Diver west. VARIOUS SITES: Several Swifts between Dungarvan & Knockaderry Reservoir via coast road. BROWNSTOWN HEAD: Balearic Shearwater & 287 Manx Shearwaters west in an evening seawatch (7.25-8.25 pm); 207 Manx Shearwaters west in a earlier seawatch (10.40-11.40 a.m.). 21 Whimbrel on land. BLACKWATER VALLEY: 3 Swifts at Dromana House. 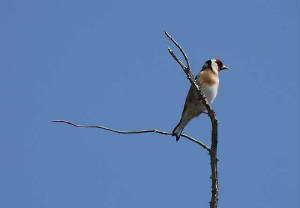 Near KILSHEELAN: 16+ singing Blackcaps in woodland from Kilsheelan east to Coolnamuck, & 4 Swifts low over River Suir. DUNMORE EAST: 2 Black Guillemots east of the pier. BROWNSTOWN HEAD: 2 Tree Sparrows; a Pomarine Skua east, & 340 Manx Shearwaters, 125 Guillemots & 2 Whimbrel west during a 1-hr seawatch (7-8 pm). TRAMORE BACKSTRAND: 7 Whimbrel at Clohernagh. BALLYSHUNNOCK RESERVOIR: Whooper / Mute Swan hybrid (first recorded here in 2006) & a pair of Great Crested Grebes. 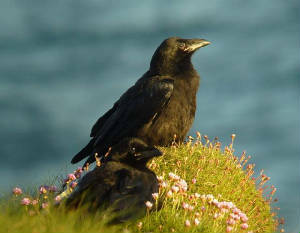 HELVICK HEAD: 2 Puffins on sea, a diver species & good numbers of Manx Shearwaters west. 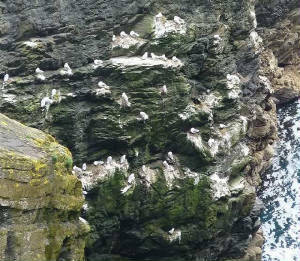 BROWNSTOWN HEAD: An Arctic Skua E, 2 Puffins on sea & 206 Manx Shearwaters W (20 feeding close inshore) in a half-hr seawatch (7.20-7.50 pm). 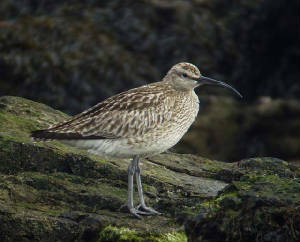 Also 19 Whimbrel. TRAMORE BACKSTRAND: 14 Whimbrel on the spits. 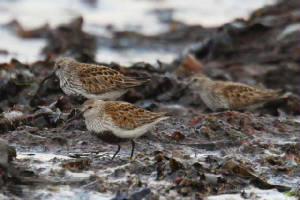 CLONEA STRAND: 15 Whimbrel & 20 Sanderling at Ballinclamper. HELVICK HEAD: Single Cuckoo, Wheatear & Sedge Warbler. 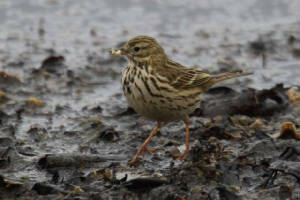 TRAMORE BACKSTRAND: Grasshopper Warbler singing at Kilmacleague inlet, 42 Whimbrel visible off Saleen. BROWNSTOWN HEAD: Pomarine Skua (1st of yr) & Great Skua east during a 1-hr seawatch (10.18-11.18 am); also 39 Manx Shearwaters W (+ 15 feeding). 44 Manx W in 45 mins in evening (6.55-7.40 pm). Also 20 Whimbrel, 8 Swifts & 2 Wheatears. RATHMOYLAN COVE: 3 Swifts in off the sea. 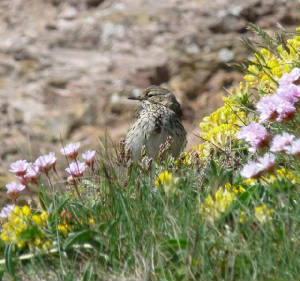 VARIOUS COASTAL SITES: Whitethroats & Wheatears widespread today. BALLYSCANLAN LAKE: 1st/2nd-summer Iceland or Glaucous Gull flying west over the lake. RIVER SUIR near POULDREW: Reed Warbler singing from Co Waterford bank opposite Portnascully (1st county record of year); also 27 Whimbrel. BELLE LAKE: Another Reed Warbler singing here. WOODSTOWN BOG: 2 Water Rails calling. WOODSTOWN STRAND: A late Brent Goose flying towards Duncannon. TOURIG RIVER: 6 CATTLE EGRETS (3 on Cork side, 3 on Waterford side). Details. RAM HEAD: Buzzard, 9 divers (1+ Great Northern) & 5 Porpoises. Nr COMERAGHMOUNTAIN / MAHON FALLS: Grasshopper Warbler & Whitethroat singing. Nr KILROSSANTY: Dipper at Aughnacurra Bridge. ARDMORE BAY: 42+ Whimbrel, and Manx Shearwaters passing west at c170/hr in evening. RAM HEAD: 300+ Manx Shearwaters in afternoon, good numbers passing west in evening. ARDMORE BAY: 2 Great Northern Divers (adult summer plus winter/immature bird). YOUGHAL BAY: Great Northern Diver. 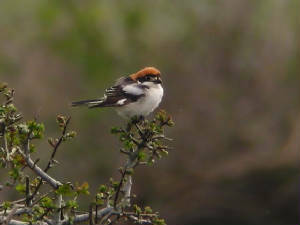 Near BALLYDWAN: Male WOODCHAT SHRIKE still present. 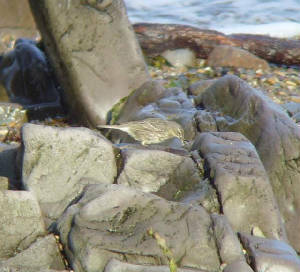 CLONEA STRAND: c110 Whimbrel & 5 Wheatears at Ballinclamper. RIVER DALLIGAN: Dipper near Killineen. RINCREW (Tourig estuary): 8 CATTLE EGRETS on Waterford side of Tourig river, 1st-winter Mediterranean Gull off Youghal dump (both sides of Cork/Waterford border). 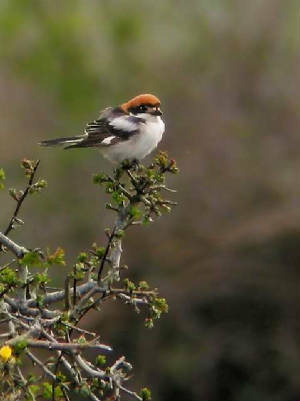 Near BALLYDWAN: Male WOODCHAT SHRIKE still present at same location as previous days. 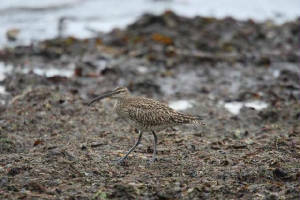 DUNGARVAN: 95 Whimbrel at the Cunnigar. 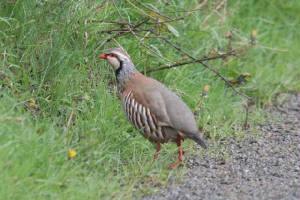 CAPPAGH: Red-legged Partridge (escapee from shoot). 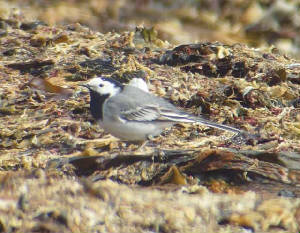 CLONEA STRAND: 42 Whimbrel, 110+ Turnstone, 26+ Sanderling & a White Wagtail at Ballinclamper. KILMOYLIN (nr Kilmacthomas): Whitethroat singing. CASTLECRADDOCKBOG (nr Dunhill): 2 Sedge Warblers singing. TRAMORE BACKSTRAND: 2 Whimbrel at Clohernagh, 14+ at Lisselan / Ballinattin. BROWNSTOWN HEAD: Swift, 4 Willow Warblers & a Chiffchaff. 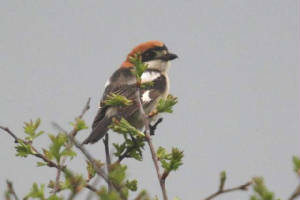 Near BALLYDWAN: Male WOODCHAT SHRIKE refound at same location as on Tues 20th (grid ref X389987). Seen carrying a Wren on one occasion. Further details. Also 2 Sedge Warblers. HELVICK HEAD: Several Common Terns (first of spring). DUNGARVAN TOWN: Swift over the quay (2nd of spring). CLONEA STRAND: 250 Brent Geese, 5 Common Scoter (flew west), Great Northern Diver, 38 Whimbrel, 26 Sanderling, Swift in off sea & a White Wagtail at Ballinclamper. 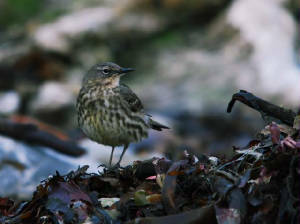 BALLYVOONEY COVE: 4 Common Sandpipers & 7 Whimbrel. KILCANNON, DUNHILL: Cuckoo (first of spring for Co Waterford), Grasshopper Warbler & many Sedge Warblers. TRAMORE BACKSTRAND: 10 Whimbrel at Ballinattin & 3 at Clohernagh. BROWNSTOWN HEAD: Grasshopper Warbler, Whitethroat, 7 Willow Warblers & 2 Wheatears. BALLINCLAMPER to BALLINARD: 30+ Whimbrel, Common Sandpiper, 6 White Wagtails, 11 Sanderling and 2 Gadwall (on sea with Shelduck). HELVICK HEAD: Noticeable arrival of common migrants including first Swift of the spring, 20+ Willow Warblers and 3 Sedge Warblers (2 in song). ARDMORE: 30 Whimbrel at Curragh. GREAT NEWTOWN HEAD: Diamond-back Moth & 3 Painted Ladies. BROWNSTOWN HEAD: Grasshopper Warbler, 2 Whitethroats & 5 Willow Warblers. CLONEA STRAND: 3 White Wagtails, 1 Ruff, 45 Whimbrel, 30 Sanderling, 44 Bar-tailed Godwits, and 1 Basking Shark offshore, at Ballinclamper. 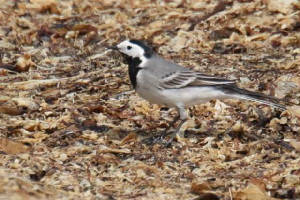 CLONEA STRAND: 63 Whimbrel & a White Wagtail at Ballinclamper. BROWNSWOOD (nr Fiddown): House Martins back at last year's nests (occupied by roosting Wrens until recently). 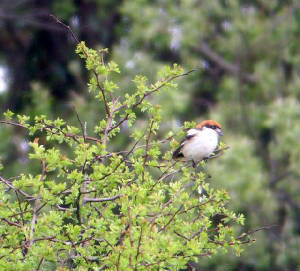 Nr BALLYDWAN (east of Stradbally): WOODCHAT SHRIKE (4th county record) at grid reference X389987. DUNGARVAN: 5 House Martins at Abbeyside, Grasshopper Warbler at Brickey canal. 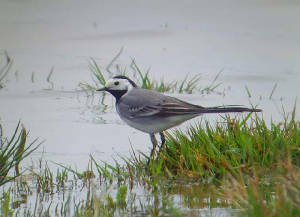 CLONEA STRAND: 5 White Wagtails & 26 Whimbrel at Ballinclamper. DUNGARVAN TOWN: Holly Blue butterfly. 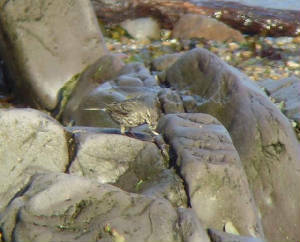 CLONEA STRAND: Purple Sandpiper, 30+ Whimbrel & 3 White Wagtails at Ballinclamper. Nr KILL: 2 Grasshopper Warblers & 5 Sedge Warblers singing from young forest and waste-treatment ponds just east of the village. BROWNSTOWN HEAD: Female Redstart, male Blackcap, 7 Willow Warblers, 6 Chiffchaffs & 2+ Whimbrel. BROWNSTOWN HEAD: Grasshopper Warbler & 2 Sedge Warblers (first of year), several Blackcaps and lots of phylloscs. 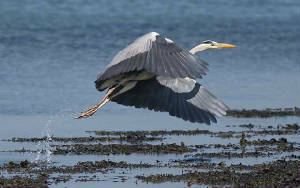 CLONEA STRAND: 25 Whimbrel & 2 White Wagtails at Ballinclamper. TRAMORE TOWN: First Diamond-back Moth of the year. BELLVIEW PORT (Waterford/Kilkenny): Whitethroat singing (first of spring). LITTLE ISLAND: Common Sandpiper near the ferry. BROWNSTOWN HEAD: Merlin, 10 Willow Warblers & 2 Chiffchaffs on land; 3 Puffins, 2 Common Scoters & 16 Manx Shearwaters flew east during a 1-hr seawatch (1025-1125). Other seawatch totals: Fulmar 4E/2W; Gannet 34E/4W; Kittiwake 7E/1W; Sandwich Tern 2W; Razorbill 3E/1W; Guillemot 1E. 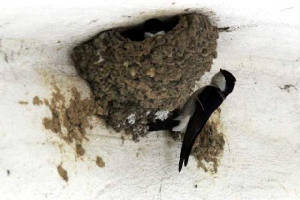 BROWNSWOOD (nr Fiddown): Pair of Swallows back at last year's nest. CLONEA STRAND: 2 SCANDINAVIAN ROCK PIPITS (littoralis subspecies), 22 Sanderling & 2 Great Northern Divers, & an Arctic Skua flying west, at Ballinclamper. GOAT ISLAND (nr Whiting Bay): House Martin. FIDDOWN: 10 Blackcaps singing (9 on Waterford side of river) & 2 Little Egrets. 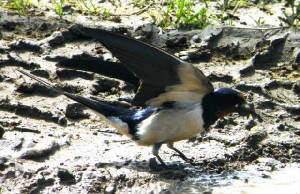 TIBBERAGHNY BOG (Co Kilkenny): 2 House Martins. SLIEVNAMONA (nr Kill): 10 Willow Warblers singing. KNOCKADERRY RESERVOIR: 2 Little Egrets & a late Gadwall. VARIOUS SITES: Blackcaps, Willow Warblers & Chiffchaffs widespread. BELLE LAKE: Water Rail calling, 3 Blackcaps & 8 Willow Warblers singing. BROWNSTOWN HEAD: 13+Willow Warblers, 2 Swallows & a Wheatear; also a Red Admiral. 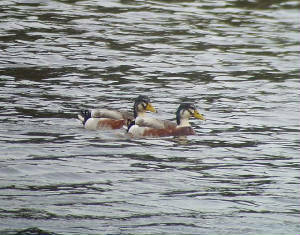 TRAMORE BAY: Great Northern Diver, 7 Red-throated Divers & 2 Great Crested Grebes in NE corner. WHITING BAY: Swallow, 60 Sand Martins & 2 Willow Warblers. 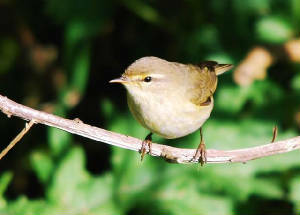 DUNGARVAN: Willow Warbler singing at GlaxoSmithKline. 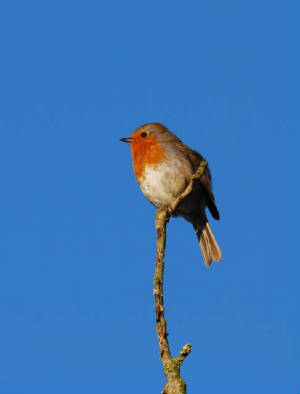 WATERFORD CITY: An early fledged Robin at King's Channel. DUNGARVAN: An early Garden Warbler singing at Knockmaun, near Brickey River. KILMURRAY (nr Dungarvan): Male Merlin. Nr CAPPAGH: Several Stock Doves near quarry. KNOCKMAON area (nr Dungarvan): 2+Swallows, Willow Warbler, 4+ Chiffchaffs, 3+ singing Blackcaps, & 13+ Redpoll. FENOR: Willow Warbler singing & 3 Swallows. ANNESTOWN: Gannets feeding close inshore. WATERFORD CITY: Blackcap in Waterford Regional Hospital grounds. DUNMORE EAST: 10 Purple Sandpipers & 6 Sandwich Terns. 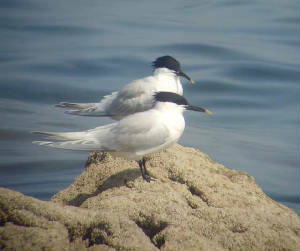 TRAMORE BACKSTRAND: 2 Sandwich Terns at Saleen. DUNHILL: Blackcap & 5+ Willow Warblers. BALLYSHUNOCK RESERVOIR: Swallow, singing Blackcap & 3 Otters. CLODIAGH RIVER (Portlaw): Green Sandpiper. CLONEA STRAND: 11+ Whimbrel (early, first obvious arrival of spring), 3 Purple Sandpiper, 10+ Sandwich Terns & a Wheatear. BALLYLEMON WOOD: Blackcap, Willow Warbler & 4+ Chiffchaffs singing, 2 Stock Doves, 2 Jay and a late Redwing. ARDMORE / RAM HEAD: 4 Red-throated Divers & a Manx Shearwater (first of spring). 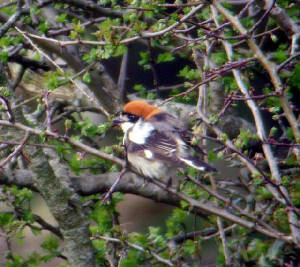 INCHINLEAMA to KNOCKANISKA (nr Araglin): 2 Blackcaps & a Willow Warbler singing, also a Jay. VARIOUS SITES: Sand Martins & Chiffchaff widespread today. LISMORE: Swallows (earlier than usual for this location). CROHAUN: Male & female Long-eared Owls calling. WEST WATERFORD: Probable Nightjar (albeit very early in season) seen feeding in a garden near the Knockmleldown foothills.